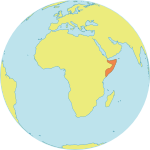 The Midwifery Analyst is located in Mogadishu Country Office (CO) and reports to the Head of Office in Mogadishu and the International Midwifery Specialist in Nairobi. Under the overall supervision of UNFPA Representative and direct supervision of the International Midwifery Specialist and the Chief Technical Adviser, RHCS, the Midwifery Analyst will provide support to the planning, implementation, and monitoring and focusing on aspects of health systems strengthening for midwifery improvement. She will work towards strengthening institutional and technical capacities of national and sub-national midwifery institutions to make them competent in midwifery education and training; midwifery policies and practice, including regulations and in promotion of positive midwifery image and career; and enhancing the performance, visibility and image of midwifery council and associations. She analyses and assesses relevant political, policy and social trends as they relate to midwifery and provides substantive inputs in the design and evaluation of midwifery related interventions. The Midwifery Analyst substantively contributes to the effective implementation of the project. She provides support and contributes to the planning, coordination and monitoring of all project components. She guides and facilitates timely delivery of quality UNFPA programmes on midwifery by supporting development and implementation of annual and quarterly work plans; undertaking programme supervision, monitoring and the reporting of results achieved. He/she works with technical staff at UNFPA and Ministry of Health to facilitate work of consultants, advisors and experts on midwifery. The Midwife Analyst also establishes and maintains collaborative relationships with relevant counterparts in government (Health, Education, Public Service and Professional Councils), multi-lateral and bi-lateral donor agencies, the private sector and civil society organizations including midwifery association to address emerging issues in midwifery. Master’s degree in relevant field such as Public Health or Community Health and development, Reproductive Health, etc. At least 5 years’ professional experience. Preference will be given to candidates with midwifery service, midwifery education and training and/or administration/regulation in the public or private sector. Familiarity with the Somali Health System is essential. Fluency in oral and written English, with experience in public speaking and presentation.